Florida Gov. Ron DeSantis wants to give nearly 45,000 teachers a bonus of more than $9,000 in the coming year. BRANDON, Fla. (AP) - Florida Gov. 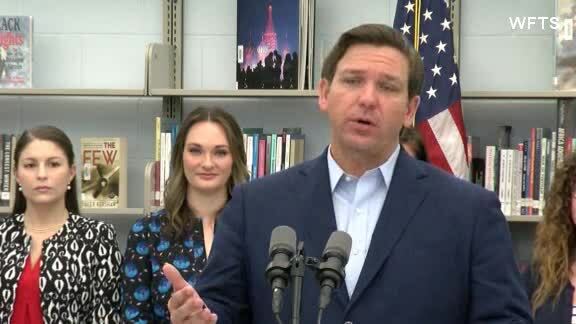 Ron DeSantis wants to give nearly 45,000 teachers a bonus of more than $9,000 in the coming year.